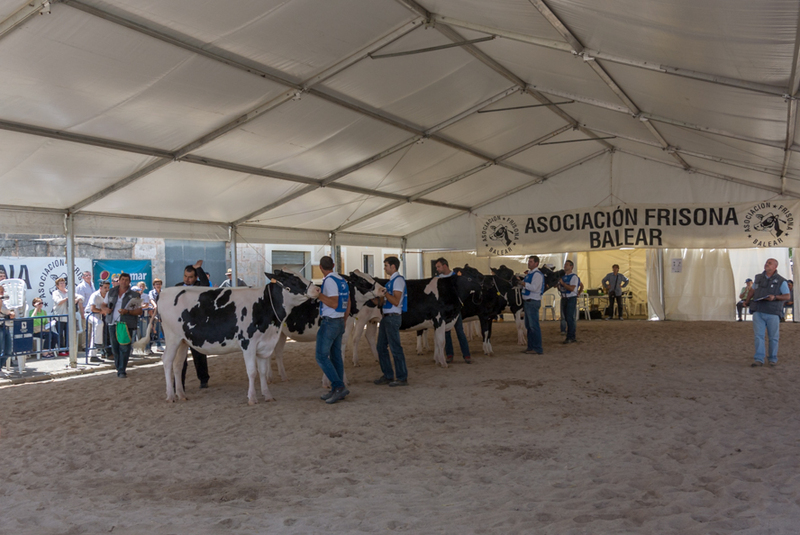 Campos held its Fira de Maig last weekend, coinciding with the XXXVI Concurs Morfològic Nacional Selecte Reproductor Boví-Frisó, the National Championship for Friesian Cows. Goldwyn Jara from Menorca was crowned the lucky Champion Queen of Cows for the second year running. The photo was taken in Campos, Mallorca, Baleares, Spain. The date: May 11th, 2014.